You know it as the ingredient taking over the wellness world, but what is CBD, really, and is it right for you? 2017 was the year that weed went mainstream, and the “green rush” struck gold. 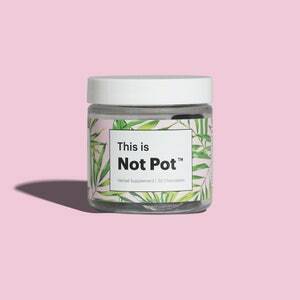 But, while recreational marijuana is still technically illegal in most states, an industry has blossomed around CBD, a compound that’s found in marijuana but legal to sell (in most forms) on its own. Presented in hyper cool packaging—and bolstered by hundreds of rave reviews—CBD supplements have captured the imagination of the wellness world. But what is CBD, exactly, and what’s the most effective way to use it? Here’s what you need to know. CBD is a non-psychoactive cannabinoid compound found in marijuana—and legal in 43 states. The cannabis plant contains at least 80 chemical compounds called cannabinoids. You’re probably already familiar with THC, the cannabinoid that prompts the psychoactive effects commonly associated with marijuana, like euphoria, relaxation, and, of course, the munchies. CBD is another cannabinoid, but, unlike THC, it’s not psychoactive. This is the source of CBD’s popularity: the ability to provide some of marijuana’s therapeutic effects without the high. Juna drops pair full-spectrum CBD extract with certified organic MCT coconut oil. CBD can be found in cannabis sativa (weed) and industrial hemp, a legal variety of the plant grown for paper, textiles, and non-dairy milk. The ability to extract CBD from industrial hemp has made it possible to sell CBD products across state lines—not just in states with legalized marijuana. The compound is currently legal in 43 states, and it’s currently up for debate in states like Texas and Indiana. Not Pot chocolates combine CBD-rich hemp oil with raw cacao, ashwagandha, and maple sugar. As people cash in on marijuana’s increasing legalization, the market is flooding with new CBD products. The options are truly dizzying, from chocolates and capsulesto vaporizers and sublingual oils, which are placed under the tongue to quickly diffuse into the bloodstream. Unsurprisingly, the dessert market has CBD cornered. There are an abundance of options, from CBD/THC blend chocolate bars to foraged Icelandic berry CBD gumdrops inspired by the music of Sigur Rós. CBD is also becoming a popular ingredient in products like skincare and lotions, from pain-relieving CBD bath bombs to body lotions like Cannuka, which pairs CBD isolate with Manuka honey. Some medical experts say that CBD derived from industrial hemp (as opposed to marijuana) is less potent, but [it’s still possible to feel the effects from these products. “As a rule, I do not recommend industrial hemp as medicine,” says Dr. Goldstein. “That being said, there are some “hemp” products on the market that, when tested, show that they contain medicinal amounts of cannabinoids and terpenes, albeit with very low THC that allows for the “hemp” designation.” Really, the best course of action is to do some research. Check to make sure the company has a listed medical advisor, and don’t be afraid to ask for test results that show the cannabinoid content before purchasing a CBD product. With so many choices, it’s important to consider a few things before purchasing a product. It is possible to feel the effects of CBD right after consumption, but most products are meant for long-term use. Weigh your options: inhaled CBD is felt quickly but fades much faster than sublingual and ingested products. If you’re looking for a daily supplement with slow-releasing effects, ingestible products with clearly marked dosages like capsules or edible oils are easy to integrate into your daily routine. And as bars across the country start serving up CBD-laced cocktails, happy hour just got a whole lot happier. © 4790 Green Rush Review. All rights reserved.